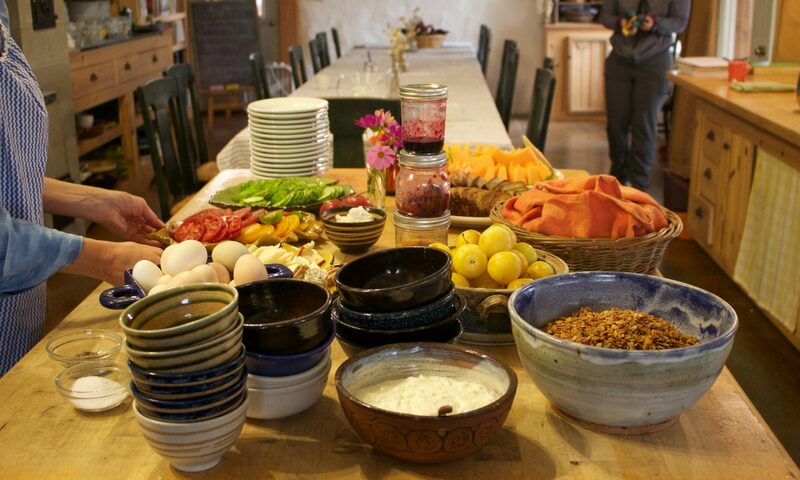 Discovering the World of RAFT (Renewing America’s Food Traditions) We will spend four days enjoying the bounties of our RAFT influenced garden, wild foods that grow right here on the farm, get our hands into the earth and learn the wisdom and ways of our ancestors. Animal, Vegetable, Miracle: A Year of Food Life, Barbara Kingsolver’s wonderful book seems like a natural for a food adventures. Here at Quillisascut™ we have been working on the idea of locally raised food and living from what our farm and neighbors provide for over 25 years. Surprisingly we have learned a few things that we can share. The blessings of summer squash, handmade cheese, hearth breads and a delightful extended community of neighboring farms. Farm to Cafeteria developing connections for institutional food service. A powerful way to bring a working team together and make plans to transform meals for schools, hospitals, or assisted living facilities. If any of these ideas inspire you let us know or if you have a group you would like to bring out for a workshop and have a specific focus let us know. Maybe we can make your dream come true.